The Indian Railway Department is going to recruit young and talented candidates for various posts, so the Railway Recruitment Board will release RRB SSE Recruitment Notification for Senior Section Engineer posts very soon. This is a great chance for all the Aspirants who are looking for the Railway Jobs. The eligible and Interested Candidates can apply through online. 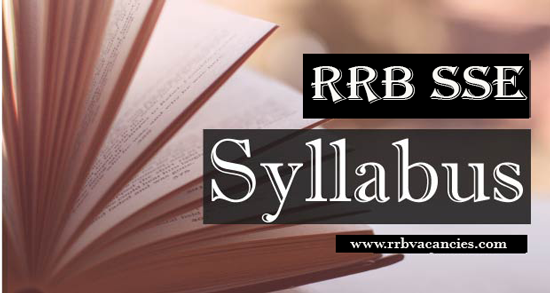 In this page you can get the Entire RRB SE Syllabus if you are going to prepare for this exam. Get the complete Railways Senior Section Engineer Syllabus & exam pattern and prepare well for the Exam. Here we will update everything like RRB SSE Exam pattern, Senior Section Engineer Syllabus etc. Are you looking for the RRB Sr. Section Engineer Exam Syllabus? Then, you are at the correct destination to know the latest RRB syllabus and exam pattern of Senior Section Engineer exam. Applicants of the RRB SSE Notification 2019 can check out the Indian Railway Section Engineer Syllabus 2019 through our page. The applied candidates must start their preparation for the SSE Exam as soon to perform well in the written examination. Railway Recruitment Board organize the written examination. Here we are providing the RRB SSE Syllabus For the sake of the exam takers. Before appearing for the written examination candidates have to know the syllabus and pattern of the examination. 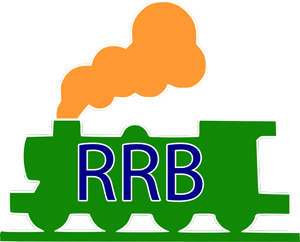 You will know the exam topics by referring the Syllabus of RRB Senior Section Engineer Exam. Refer the below provided Railway Section Engineer Syllabus & Exam pattern which may helpful in your exam preparation. Word Building, Seating arrangement, Clock, Calendar. Visual memory, Direction sense test, Decision making, Blood relations, arithmetical reasoning and figural classification. The question will be asked from Railway Rail Budget, New Technologies & Reform in Indian Railway. Indian – Geography, Polity, History, Economy Current affairs and sports etc. Electrical Machines, Basics of circuit & Power Electronics, Analog and Digital Electronics, Electrical and Electronic Measurements, Circuits and Measurement Systems, Electrical Machines, Signals and Systems, Power and Control Systems etc. Electronic Devices, Energy bands, Signal & Systems, Wireless Communication, Carrier transport in silicon: diffusion current, drift current, mobility, and resistivity. Generation and recombination of carriers. Analog and Digital Circuits & Communication, Junctions, diodes, tunnel, EMFT, Basics of Signal & Systems, Control System. Computer fundamentals, MS Office, languages, Information systems, DBMS, Operating systems, Software Engineering, Computer Networks, Database, Algorithms, Network Communication System programming, Web technology & programming. Process Instrumentation will be asked. Questions will be based on General Civil Engineering. Measurements of distance and directions. Stay tuned to our page for getting more updates about Upcoming Railway Exams 2019 and Indian Railway Recruitment Notifications etc.